Prior to Micro-Vertical Marketing, there was Vertical Market Development, a mature and proven marketing approach or process defined as marketing activities that target and communicate with decision makers in specific/defined market segments. More recently, micro-vertical market development (or micro-vertical marketing) has gained interest as competition grows in software, consulting, capital equipment, and truly any “considered purchase” market (considered purchase is a typically complex, high dollar value scenario vs. impulse purchase, which is simple and low dollar value). 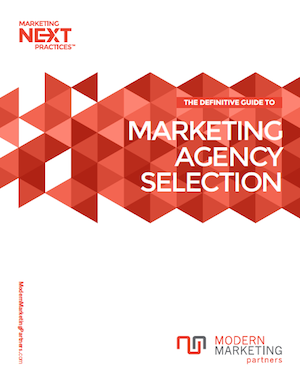 This micro-vertical marketing guide will start with a definition, followed by details on industry classifications. Next, objectives and some tips for identifying viable micro-verticals. Of course, effective marketing is the key to success, so best practices are delineated. Finally, a micro-vertical marketing case study will share a real life example, and relevant resources will provide additional insight. Micro-vertical marketing is going deeper into broad market segments, to identify sub-segments that have specialized and common requirements, applications, decision-makers, and more. Often broad market segments are described as “horizontal” market segments, that are made up of vertical and now, micro-vertical segments. In the past, marketers called vertical or micro-vertical marketing, niche marketing. Finally, the identification (and analysis) of market segments is called market segmentation. Historically, market segments were referenced by Standard Industrial Classifications (SIC codes), developed and used by multiple branches of the U.S. government. In 1997, the North American Industry Classification System (NAICS) codes replaced “SICs”, with corresponding codes. Today, both codes are still used, and can identify both horizontal, vertical, and micro-vertical market segments. Often, directories and mail/email list providers use such codes for classifying records. Examples include D&B, Hoovers, InfoUSA, and more. Finally, outside of North America, there is a corresponding International Standard Industrial Classification (ISIC) system. Following is an example of market classifications and segmentations that will aid understanding (see appendix for additional market classifications and codes). The objective of micro-vertical marketing is to demonstrate expertise that is relevant to the specialized requirements of a micro-vertical customer. Educational content relevant to these requirements is key. If executed effectively, the brand (or person) will be perceived as a subject matter expert (SME), and ideally, the thought leader for that micro-vertical. Once achieved, the brand can rise to the top of the consideration set, reducing or eliminating competitors, and ultimately driving sales. To ensure success, brands or marketers should target micro-vertical markets that leverage past experience, and ideally, proprietary skills or intellectual property (IP), that is difficult to replicate. Such experience, skills or IP lend themselves to a Case Study, which is critical. Of course this is not always possible, so brands may be able to leverage vendor experience, IP or case studies as an option. Other keys to micro-vertical marketing success are market size, market infrastructure, and decision-making process. Regarding market size, it is important to identify early whether the micro-vertical has enough prospective customers, and is not too small to be worthwhile of investment in time and resources. Directories like D&B or Hoovers can quickly identify “counts”, or number of companies for a given NAICS code. A rule-of-thumb for market size minimum depends on your brand sales objectives, but 100-1,000 establishments can be a preliminary benchmark. Once a micro-vertical passes the “size test”, research industry infrastructure. Specifically, identify if any associations, media/publications, trade shows, lists, and related assets are available. Such industry “assets” can often support the next topic, marketing. Understanding the decision-making process in a micro-vertical is certainly helpful. Likewise, identifying who decision makers are by title(s) is important. Such insights can come from interviewing customers or industry experts, but may differ by size of company. So what type of marketing tactics are effective for micro-vertical marketing? To answer, lets go back to that “considered purchase” reference. For expensive and complex purchases, prospective customers are very likely going to do their “homework”, which today is most often a query using a search engine. Therefore, all types or digital, content, and search marketing are surely important. No question, a search-optimized website is foundational to effective micro-vertical marketing. Search engine optimization (SEO) is a significant topic, so for some SEO tips, link to the MMP SEO Guide. However, to be a subject matter expert (SME) or thought leader, educational content relevant to the micro-vertical will be critical. Website content should include landing and registration pages, blogs, case studies, white papers, reports, videos, and more. Interlinking of such assets, and calls-to-action (CTAs) are important considerations. Certainly, such website content supports organic or free website traffic for given keywords. Other marketing tactics that drive organic traffic include email, social media, and link-building. Email is absolutely critical to micro-vertical marketing success. Why? Because email lists identify prospects in a micro-vertical. Of course, email should target decision makers, and drive traffic to relevant website content. Email lists should go deep into a prospective business (e.g. multiple contacts), and be verified for deliverability. Emails should be optimized for open and click-thru rates (CTRs). For more info on email, link to the MMP Email Guide. Social media is another significant source of organic website traffic. In addition, social media often ranks high on search engine results pages (SERPs). For example, YouTube videos rank high for specific keywords. LinkedIn is an excellent social network for business decision makers. Facebook Business Pages, and Twitter are key networks that should be used. Finally, Facebook advertising can be effective for many micro-verticals. Relevant and high authority links to your website also support organic traffic. Article writing and placement with in relevant online media with “Do-Follow” links is an example of link-building. Branded thought leadership is another link building and organic traffic-building strategy. For more info, link to the MMP Thought Leadership Guide. Besides organic or free website traffic, Paid Search delivers (paid) website traffic that is especially effective when educational content or calls-to-action (CTAs) are employed. Paid Search includes Pay-Per-Click (PPC) advertising (e.g. Google AdWords), Remarketing, and Display advertising (e.g. banners). We recommend Paid Search for new websites that cannot attain search authority quickly, or for categories with a large number of competitors. No question, all aspects of digital marketing are key to micro-vertical marketing success. That said, the are also some traditional marketing tactics can support effective micro-vertical marketing. Intuitively, trade shows, networking, and other live events are often vertical market focused. Finally, publicity and advertising are tactics that can build awareness in vertically-focused media. A leading business software reseller based in the northeast successfully implements micro-vertical marketing in multiple niches. This case study will focus on one of their most successful micro-verticals to demonstrate best practices: K-12 Private Schools. For this reseller, the micro-vertical started with a single, successful implementation. Not only was experience in place, but the reseller developed proprietary integrations and systems that address requirements specific to private schools such as tuition payments, fundraising, along with multiple accounting automations. Regarding market size, K-12 Private Schools number 34,576 in the United States according to the National Center for Educational Statistics. What’s more, there is an association for the decision makers in private schools, the National Business Officers Association (NBOA). The Business Officer title is unique to private schools and includes CFOs, Presidents, Operations, and more. Association members are also non-executive staff. Finally, NBOA has an annual conference and publications which are marketing and sales opportunities. The reseller implemented a complete marketing mix to communicate to private school targets including website landing pages and blogs, case studies and white papers, email lists and campaigns, and trade show participation. The results reinforce the reason micro-vertical marketing is gaining popularity. Leveraging a single client along with proprietary technology for the micro-vertical, the reseller achieved market leadership, beating competitors, and closing deals year in and out with multiple private schools. Over time, additional customizations and integrations further reinforced technology leadership in the private school micro-vertical. Is Micro-Vertical Marketing a SILVER BULLET? Micro-vertical marketing can be effective in many considered purchase categories. Why? Because the brand or marketer can demonstrate specialized expertise in specific micro-verticals by communicating and marketing to a very targeted prospect base, and be perceived as a subject matter expert (SME) or thought leader. Micro-vertical marketing requires skill to identify viable markets, and execute the proper marketing mix. The objective of micro-vertical marketing is that if implemented correctly, the (micro-vertical) marketer can rise to the top of the “consideration set”, reducing or even eliminating competition, and ultimately driving sales. Interested in implementing micro-vertical marketing? Request a complimentary assessment via the MMP contact form. So examples of top Markets, corresponding NAICS Codes, and Market Segmentation.